By this point, most people have packed up their gear, and they’re ready to turn in for the winter; You do not have to do the same because river fishing in the winter brings about a whole list of new opportunities. You’ll find different species to catch and let’s not forget the fact that the fish will bite almost anything that hits the water. If you are anything like me, you hate fishing places that are crowded and busy. I don’t like being surrounded by other anglers, and if I am, I usually pack up my gear and find a new place to fish for the day. You won’t have to worry about this during the cold weather months because all the recreational anglers are at home taking it easy. If winter river fishing sounds like something you want to check out, it requires a bit of preparation and planning to be successful. Overall, if you take the right steps, I guarantee you catch way more fish when its cold than you ever did when it was warm. Keep reading for my ten tips on how to capitalize on the cold weather this year. Fish are cold-blooded, so their habits change entirely based on the temperature of the water. During the summer months, fish are extremely active so it’s a lot easier to get them excited so they’ll bite. Once winter rolls around everything slows down beneath the surface of the water and the fish are not nearly as active. The activity of the fish depends a lot on the species you are trying to catch so it’s important to know what fish will be more active when you are winter river fishing. Of course, the type of fish that are the most popular depends entirely on your location in the country, but I’ll try and make it as broad as possible. These fish species mostly apply to the Northeast and Great Lakes areas so keep your eyes open for these guys when the water starts to freeze over. Perch – They may not be as popular in the rivers because they tend to spend most of their time deep in the mud during the winter, but if you can find a deeper calm area of the river and cast out there you have a chance of catching some perch. These fish stay active even when its cold and some would say they are even more aggressive in the winter. Jig around eddies where there appears to be a lot of mud, and you will find a good amount of perch. Pike – One of the most popular cold weather fish to catch are pike, and you will find them everywhere during the winter. They are aggressive and more than willing to bite anything you throw in the water plus they are common in the rivers throughout the Northeast so you should have no problem catching these guys. Walleye – Popular around the Great Lakes and the Northeast expect to catch the largest walleye around flowing currents where two rivers combine into one. Try jigging off rocks or stumps and the best strategy is to wade through the water so you can be extremely precise with your cast. Walleye are known to be aggressive in the winter, but they are lazy so they will not go very far to attack your lure, you need to make it irresistible for them. Trout – We obviously cannot talk about cold river fishing without talking about trout. 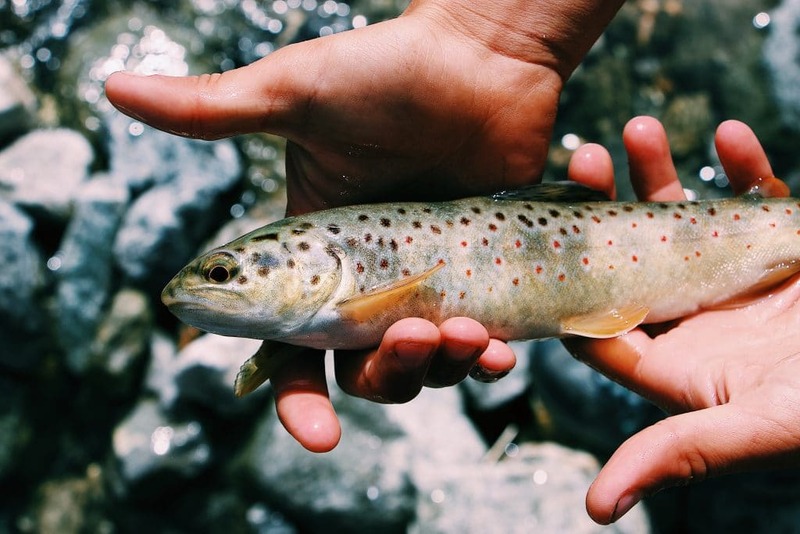 You can find these in even the smallest of creeks throughout the Northeast and Midwest so expect to catch an abundance especially as the snow starts to thaw in March and April. Try rubber worms around rocky areas and slow-moving inlets. We talked a little bit about bait in the previous section, but we’ll dive a little deeper into your choice here. Bait is always necessary regardless of the weather, and everyone has their preferences, but the most critical thing to remember is how the bait moves. Its winter time and even if you’re tracking an aggressive fish they are still slower than they were when the water was warm. It’s less important to think about your bait and more essential to think about how you’re playing it in the water. You want to choose a bait that is closest to live if you cannot use live bait. Minnows are popular in the winter because you don’t have to jig or drag them as much since they have a natural motion. If you are using artificial bait, try to keep your movement limited and as slow as possible. That is why it helps to fish eddies because the current of the river won’t move your bait around too much. If you go with an artificial use something with hair and feathers because it will react more naturally when the water is cold, rubber lures get stiff if the water is really cold so they will appear like a dead weight to the fish and will turn them off. You also want to change the color of your lure during the winter months, bright yellows and oranges that aggravate the fish during the summer will not during the winter. You want to go with a more natural white or silver when its cold to mimic the appearance of the weather outside. Lastly, when its cold the fish do not feed as much because they are much less active and their metabolism slows down since they’re cold-blooded. Use a much smaller lure in the winter because it will appear more attractive to a fish which is only looking to feed a little. 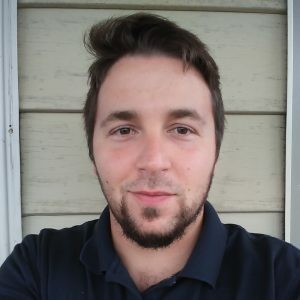 I enjoy fishing the rivers because it is not something I do quite as often so when I go out I usually scan up and down the river for at least a half mile before deciding on where I will spend a large portion of my day. It is crucial to know where the fish are hiding in these rivers so you are not wasting your time on areas where you will never find a fish; plus, it’s a lot easier to get hung up if you’re casting where the current is too strong. Eddies – During the winter the currents are usually stronger as a result of snow run-off into the river and as a result fish tend to spend more time in calm areas called eddies. These are small inlets that appear like a rest stop off the side of a strong current where the water is still. These areas are prime real estate for schools of fish, and you want to spend a lot of time here. Stand in the water if you can and cast upstream into the calm area. Low Hanging Trees – You may not find any of these where you are fishing, but if the river has steep banks it may have some trees where the vegetation hangs down into the water. If the current is not extremely fast, this could be an excellent area to try. Merging Currents – If you can find a spot where two rivers meet, in between those two currents is usually a slow running area where you will find an abundance of fish. Try casting upstream in this spot and remember to take it easy with your lure movement. The age-old rumor of fishing goes something like this, “You’ll never catch a fish in the same spot twice.” During the winter months, this could not be further from the truth because of all the fish school up when it’s cold. 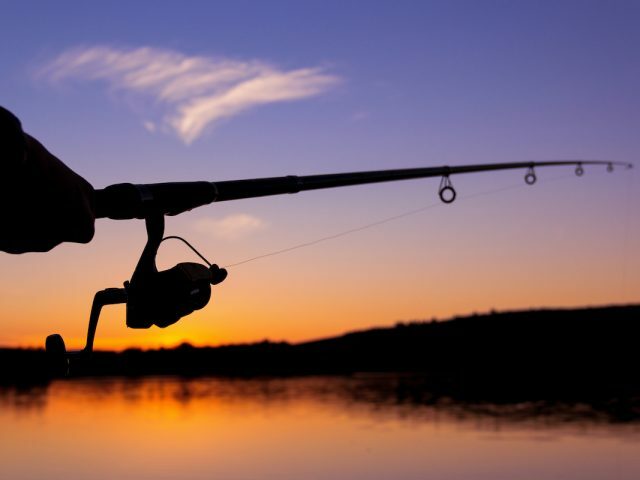 If you catch something in a specific area, you should hit it again because you can guarantee there are many more waiting for you in that exact spot. This fact is especially true when you are fishing still areas in the river. 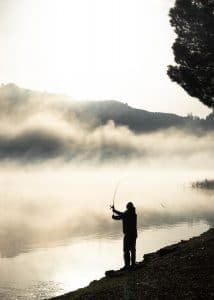 We may be getting a little technical here but if you are looking to optimize your fishing time and make the most out of every minute the weather and time of day will help you a lot. When it’s warm out we are most prone to fishing around sun up and sundown. During the winter you should do the absolute opposite and fish between the hours of 11 am and 5 pm because that is when the water is likely to be the warmest so the fish will spend most of their energy during this time. You also want to pay attention to the weather patterns. Fish are most active after a long string of warm weather so if average temperatures are around 25 degrees for you in the winter and you have a week where the weather is about 45 degrees, the days following that week will be the best time for you to head out even if the temperatures dip back down. I cannot stress the importance of preparing your gear if you are going out in the cold weather. 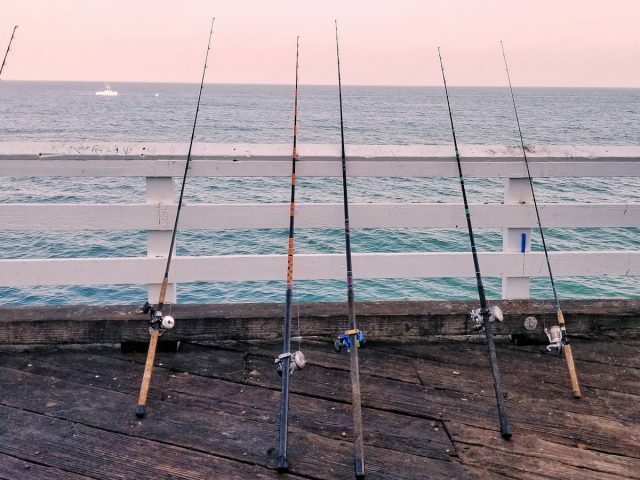 The heat is like extra oil on your reels, everything moves smoothly and without restraint; when its cold the weather will stiffen everything up and if your bearings are not freshly oiled or greased they will seize up, and you’ll be done for the day. At the end of the warm weather season, most experts suggest taking everything apart for a good cleaning and maintenance. You also have to realize that your line will not react the same way when temperatures are below freezing. Your line becomes brittle and more prone to snapping, so you want to pick up an ice fishing line, so you do not have to worry about it. What you wear also plays a major role in your success in the rivers. 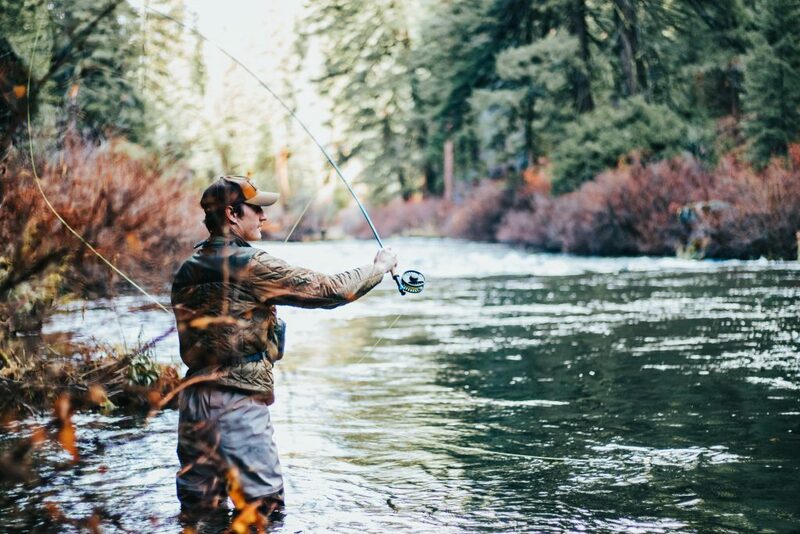 If you’ve never been much for wading, now is the time to change your opinion because you will need to get in the water if you want to catch any fish. Do not decide to be cheap with your waders because you will pay for it by the end of the season. Pick up a cheap pair of gloves and hat but spend the extra money on waders (and insulated underwear). If you understand your lure of choice than you already know how to fish with it so this might be for the more novice angler, but it’s worth talking about. 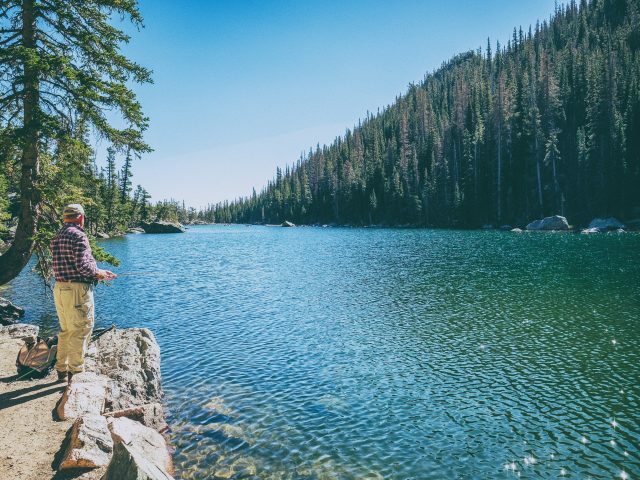 When you’re fishing the lakes and ponds, the strategy is simple, but shallow water and fast-moving currents in the rivers will frustrate someone who doesn’t know what they are doing. Bottom Bouncing – One of my least favorite ways to fish but it is still popular with many anglers and a very successful way to catch a lot of fish. Bottom bouncing refers to a method where you use a specific rig with live bait and let it drag along the bottom of the river. Doing this stirs up a lot of dirt and mud causing quite a ruckus under the water and resulting in a fish on. Upstream Casting – Now this is my style of river fishing and the reason why I said you need waders if you want to fish the rivers in winter. You want to get right out there in the middle of the river and cast upstream along merging currents or into eddies because this closely mimics the natural movement of bait fish coming downstream. Jigging – Jigs are definitely the most popular lure on the rivers, but I find them to be less successful when the currents are especially strong. Try to focus on jiggling in slow moving areas and use a smaller jig. Every state has different regulations, but I wanted to throw this in here because I felt it was worth talking about. Pay close attention to where you are fishing and what surrounds you when you are fishing rivers during the winter. If you are in an urban area around industrial plants or even regular stores be careful what you keep from the river because you could deal with a lot of dirty run-off from the snow that melts into the water. 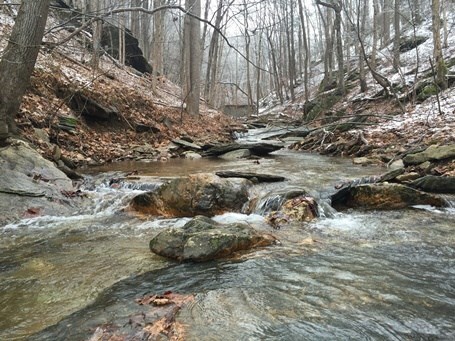 I’ll share a quick story to shed some light on this: For many years people fished the Lackawanna River near my home with much success later to find out that many of the fish caught were causing people to get sulfur poisoning from underground mine fires that were occurring underneath the riverbed. The moral of the story is to always check with your local regulations in regards to water quality because you never want to eat fish from a polluted river. Fishing the rivers in winter is a lot of fun, and if you are like me, you are always down to try something out of the ordinary. Give it a try and leave me a comment sharing your experience. Thanks for reading!